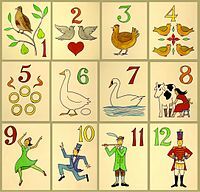 This years ’12 days of Christmas’ play was the talk of the table when it was announced. “We got to choose our part and I chose a milk maid” said my 7 year old Daisy. “What do you have to do?” I asked. “We find out next week!” she sang.